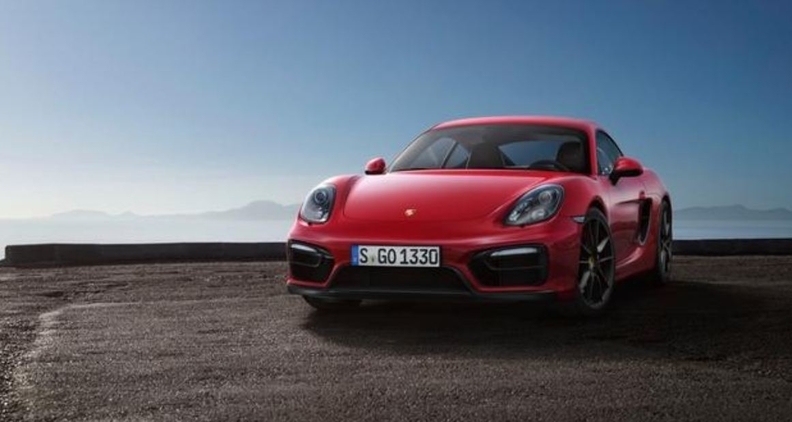 The new range-topping Porsche Boxster GTS, shown, and Cayman GTS were revealed earlier this week. Future versions of the Porsche Boxster and Cayman are in line to receive a four-cylinder boxer engine, according to a German media report quoting CEO Matthias Mueller. In an interview with Germany's Auto Motor und Sport magazine published on March 20, Mueller said Porsche road cars would follow the lead of the company's hi-tech 919 Hybrid racecar in receiving four-cylinder engines. But while the 919 Hybrid runs a unique V-4 engine, the unit being readied for the Boxster and Cayman will follow the lead of Porsche's classic six-cylinder with a 180-degree horizontally opposed layout as part of a modular engine strategy. "We will continue with the downsizing strategy and develop a new four-cylinder boxer engine, which will see service in the next-generation Boxster and Cayman," said Mueller, adding, "we will not separate ourselves from efforts to reduce CO2." When queried on the output of the new four-cylinder boxer engine, Mueller suggested it would boast "up to 400ps [395 hp]." Today's 3.4-liter six-cylinder powered Boxster and Cayman models develop up to 325 hp and 335 hp respectively in the new GTS range-topping models revealed last week. For more coverage, go to the Web site of Autoweek, an affiliate of Automotive News Europe.